This course teaches you the basic theories, history and procedures. You receive your attunement and learn hand placement positions thought to be most conducive to the process in a whole body treatment. Having completed this first degree course, you are then considered to be a Reiki practitioner. You will be able to treat yourself and others with Reiki. Class cost includes instruction, a guided meditation, practice of hand positions, a manual, your attunement and completion certificate. Plan on an approximate 3 to 4 hour class time. My formal education was a Masters in Fine Arts in Minneapolis. Since then I have studied Theology to become an ordained minister, and successfully completed my Crystal Practitioner Certification for which I achieved a Master certificate in September of 2012. 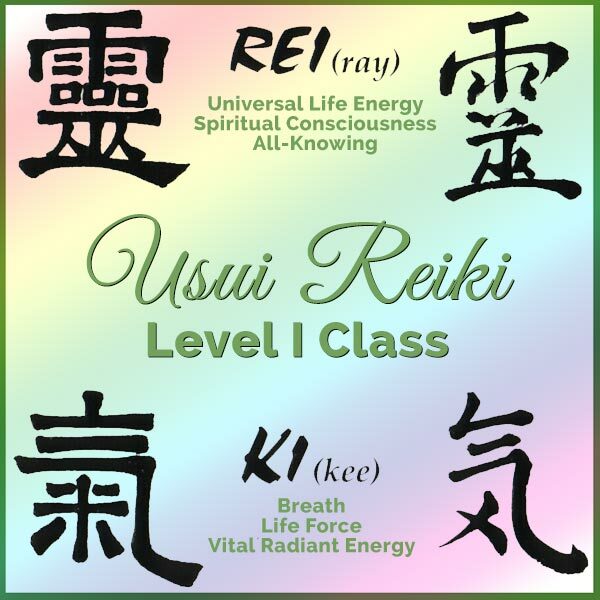 I am also an Usui Reiki Master/Teacher. This course is scheduled by request. If you have a store, or group that would like to host one of these, please contact me.